The FeatureTable class had several enhancements in this release. Attachments - FeatureTable now supports FeatureLayer attachments. To display attachments in the FeatureTable, set the feature table's showAttachments property to true. showAttachments - When set to true, FeatureTable displays the attachment column. showStatistics - Displays or hides the 'Statistics' option in column menus for numeric fields. showFeatureCount - Displays or hides total number of features and selected number of features in the grid header. batchCount - The number of features a service will try to fetch. gridOptions - Now has additional properties to customize the look and feel of dgrid. columnHider - An optional dGrid property that displays or hides 'Show/Hide Columns' command from the 'Options' menu. columnResizer - An optional dGrid property that adjusts the last column's width to "auto" at times where the browser would otherwise stretch all columns to span the grid. sort - Overrides the default sort field. Values are sorted in ascending order. pagingDelay - The minimum amount of time in milliseconds to wait after scrolling occurs before requesting items from the server. 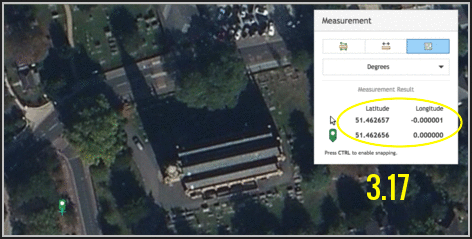 The Measurement widget had several bug fixes and some enhancements. The location tool now show latitude and longitude, previously it showed it in reverse order (i.e., x,y). 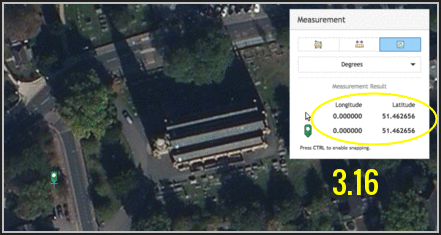 When changing units, the re-calculated measurements are more accurate. The Directions widget now supports saving out route layers. Using this widget, the route layer can be opened, modified (using waypoints or stops), and saved again. In addition to this, the route layer can also be shared to other users within your organization. 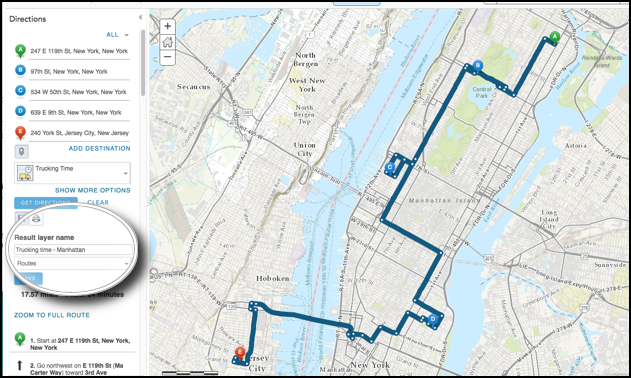 Development on additional ArcGIS routing tools is underway to implement opening and saving route layers, ultimately providing routes that can be utilized in various workflows across the ArcGIS platform. Vector basemaps have been updated to work with the latest beta version. With this update comes new items and URLs. 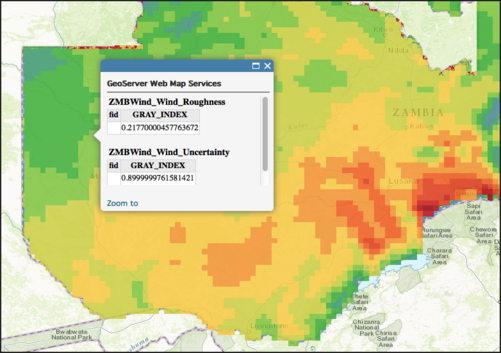 For additional information regarding this, please visit the Updates to Esri Vector Basemaps Released (Beta 2) blog article where it discusses this in more detail. WMS pop-ups can now be enabled in the web map or directly through code. In addition to popups, WMS services can now display properly while panning across the international dateline. The dateline issue is a well-known challenge with WMS and is generally not supported in other competing client technologies. Chrome recently updated its security requirements, requiring apps that use some HTML5 web APIs such as Geolocation, to use a secure origin (e.g. HTTPS). Please visit the Increased web API security in Google Chrome blog article which discusses this. The LocateButton uses this API to prompt the user for permission to find their location. With this update to the Chrome API, the LocateButton will automatically hide when not using a secure origin. Version 3.17 adds support for Croatian and Serbian locales. See Localization topic for more information about using different locales. Add the following line snippet to any code sample to see it in Croatian (hr). Add the following line snippet to any code sample to see it in Serbian (sr). 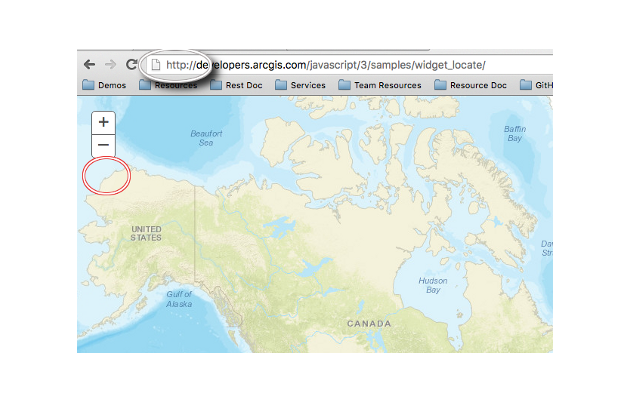 Esri requires that when an ArcGIS Online basemap is used in an app, the map must also include Esri attribution. In the past, it was sometimes unclear what exactly needed to be cited and what did not. To help alleviate any confusion, an updated version of attribution guidelines has been documented in detail. Please refer to this for any questions specific to attributing your data. 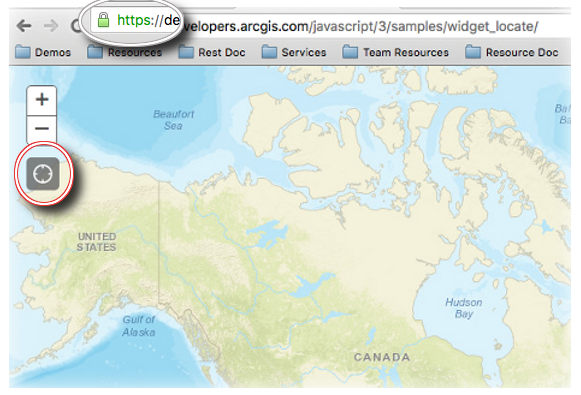 Updates and improvements have been made to the ArcGIS Web Map Specification. This documentation discusses how web maps work and why having a solid specification is important. Please refer here to any specific questions that may arise on what exactly is comprised within the web map object. The WFSLayer has been modified. It is still in beta. See the WFSLayer sample for how to create WFS layers using the fromJson() method. BUG-000094696: WMS layers now work across the international date line. NOTE: A thin gap line is visible where the dateline is located. Also, the images may flash when the display transitions from one world to two, or vice versa. BUG-000093999: Fixed an issue where the Measurement widget threw an error if passing a point into the Measure function. BUG-000095216: Fixed an issue when specifying useCodedValues would not display the correct label. BUG-000095029: Now able to select a row from a FeatureTable that derives from a feature collection. BUG-000093940: Fixed an issue where the Directions widget did not recognize minStops or maxStops properties. ENH-000094143: Added support for NAD1983 Idaho Ada Transverse Mercator projection. BUG-000093770: Fixed an issue where labeling would not work correctly if setting the LabelClass' where property. BUG-000096064: Fixed an issue where the FindExistingLocations widget threw an error specific to a missing .gif image. BUG-000093839: Fixed an issue where the measurement widget did not convert values correctly. Fixed an issue where passing in streets-navigation-vector for the BasemapToggle.nextBasemap's resulted in no thumbnail image and a raised error.